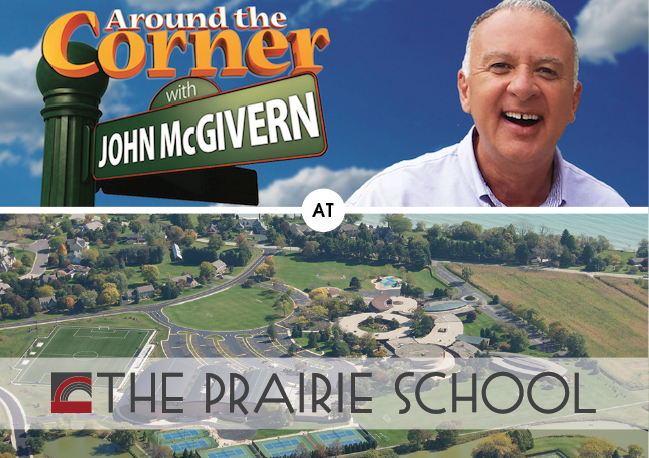 Join us at The Prairie School for a premiere screening of “Around the Corner With John McGivern,” featuring the Caledonia & Wind Point communities. The show will begin at 5:30 PM, but doors open at 4:30 PM for any guests who are interested in taking a tour of Prairie’s Frank Lloyd Wright-inspired campus! Please note that the screening will take place in the school’s theatre, where food and drink are not permitted. As with “Around the Corner” premieres, the event is free and open to the public. Reservations are now closed. Please fill out the form below to be added to the waitlist, or call Debra at (414)297-7514.